Shopping local took on a whole new meaning on Merco Local’s Party Bus. 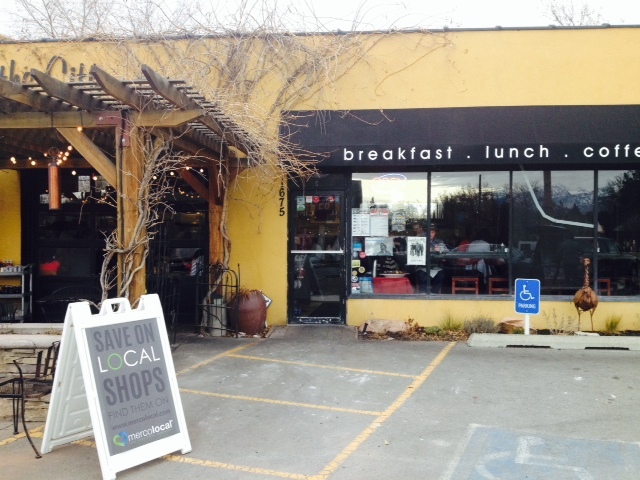 The tour started with breakfast at Eggs in the City, a Sugarhouse favorite offering breakfast and lunch. After a delicious breakfast of pancakes, eggs and potatoes with many cups of coffee, our tour group was loaded onto the limo. Club music was playing loudly and the limo was packed with adult beverages and snacks. Each guest received a gift bag loaded with fabulous local goodies. While we were digging through our gift bags, our two hostesses poured mimosas. And kept pouring mimosas while we drove around Salt Lake and socialized with each other. Merco Local is a marketing firm specializing in local businesses. “We promote local businesses everyday at Merco Local. Our first annual Small Business Saturday shopping tour and party bus was another way to do that. It has been a wild success. People are demanding more. It’s far too easy for small businesses to struggle, even if they have superior products. We are here to help that, and connect businesses with consumers. Whatever you do, you can’t afford to ignore small business and Small Business Saturday. Over half of America own or work for small businesses. We all can make a difference.” said Liz Galloway, Director of Marketing and emcee for the day. 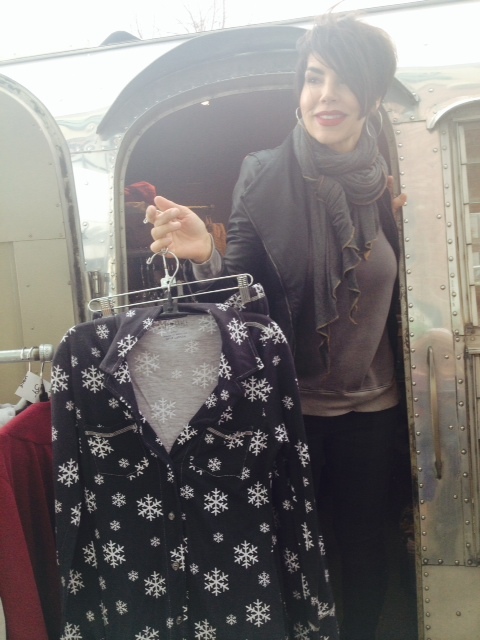 Our first stop was in Sugarhouse where we browsed through Stilo Stream, a very cool vintage trailer stocked with trendy clothing and accessories. Ali Burgess, the owner, was there to greet us and help us shop. 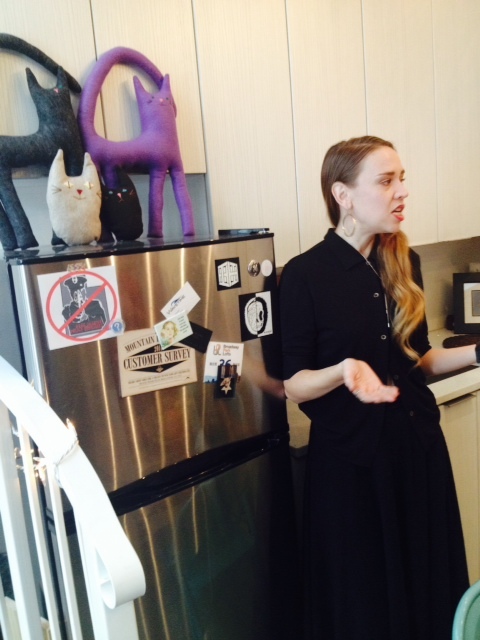 “It was a privilege to be part of this event,” she said. 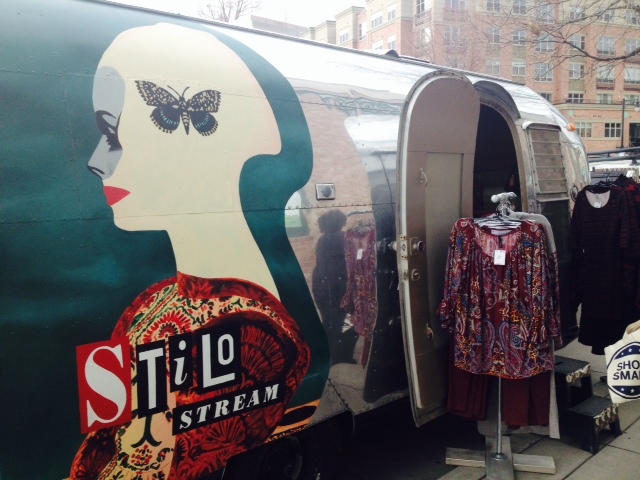 “I felt a connection with everyone that stepped on-board Stilo Stream.” With such a novel concept for a boutique, you could tell the items were carefully curated by Ali. She showed us a pair of snowflake pajamas that were soft as butter and we all coveted them. 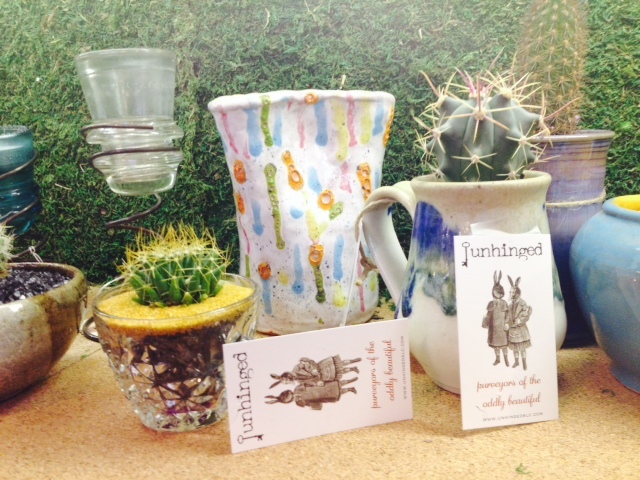 Around the corner was Unhinged Boutique, my favorite shop on the tour. In a word, the store was FUN! It was stocked with adorable accessories, housewares and clothes. 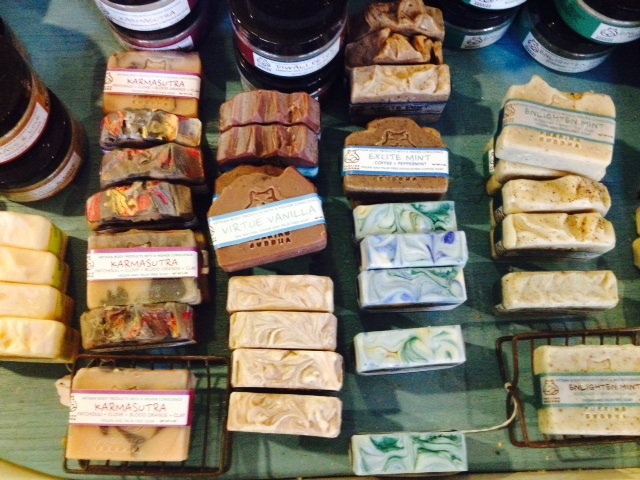 I was thrilled to find Purring Buddha, a local soap company that prides itself on remarkable goods using all-natural ingredients. 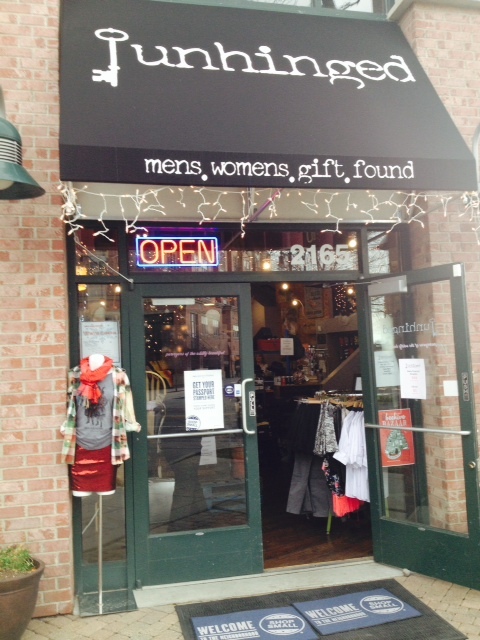 Unhinged Boutique could be your one-stop-shopping destination for the holidays. 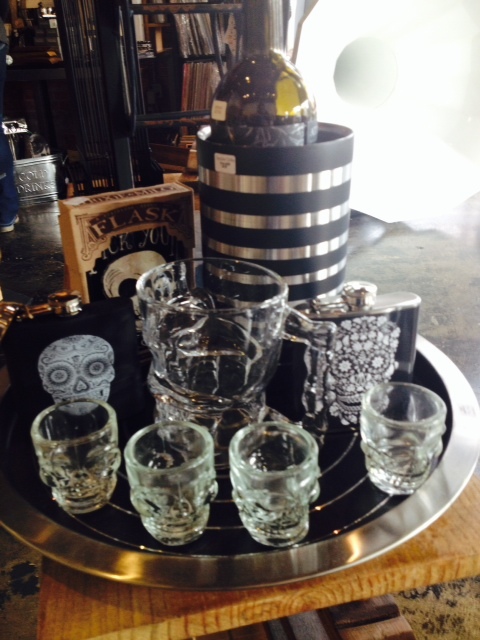 They had it all, local products, vintage clothing and an impressive selection of other things – I was in love! Our tour group made it back on the bus, ready for more day-drinking and shopping. We were getting a bit more rowdy, fueled by mimosas and the booming music. The party bus pulled up to 300 S. where we visited Boozetique and Q Clothing. We stumbled out of the limo, ready for more shopping. 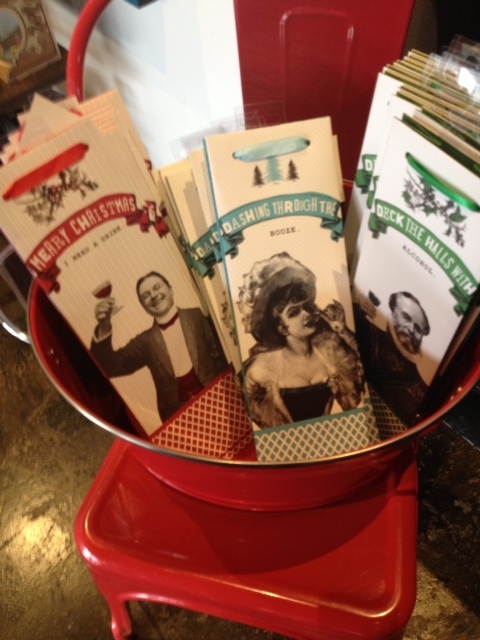 I loved how gift-centric Booztique was, selling clever gift bags for the holidays and other gifty days. You could easily dress up a bottle of wine as a present for those who are hard to shop for. Or anyone else. Q Clothing had the most charming clothes and accessories. 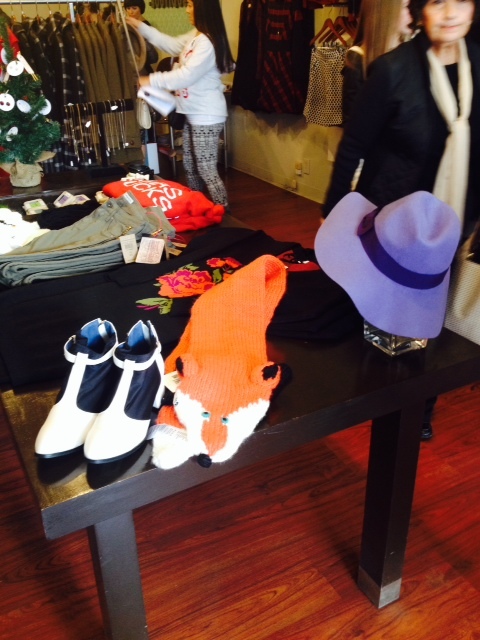 I pretty much wanted everything, especially this cozy knitted fox scarf and purple hat. The selection was impressive and the prices were totally reasonable. I’ll be back. Crude Personal Care was our last stop. A skincare line developed by Master Esthetician Denise Cartwright, Crude is 100% organic and natural. I’ve been using it for two weeks now, and I am enthusiastic about the results. There is also local art for sale. Merco Local certainly knows how to throw a party! I could see this becoming my most treasured holiday tradition – mimosas and shopping local. If Black Friday is waking up at dawn and being trampled at Wal-Mart, I’ll happily take Small Business Saturday instead.